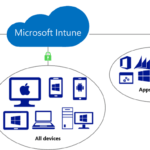 If you have a Group Policy Object or System Center Configuration Manager setting some parameter on your PC and you also have the setting configured in Microsoft Intune, Intune will win. 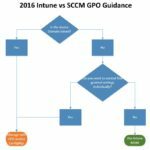 Put simply, Intune overrides GPO and SCCM. It is also notable that Microsoft has dropped SCCM – Intune Hybrid support. 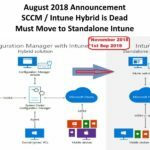 You must move your SSCM/Intune hybrid configuration to a Standalone Intune by September 2019. At the recent Microsoft Ignite Conference in Florida I asked Intune staffers if Intune was going to replace Group Policy and System Center Configuration Manager. The response was that because GPO and SCCM are so entrenched Intune is not trying to replace them. However it was also made clear that Intune is where Microsoft is investing their development dollars so GPO and SCCM may be complimentary today, Intune will likely be the long term winner.